This comprehensive, detailed surgical instrument text encompasses basic to advanced concepts, presenting individual instruments and exploring their common uses. 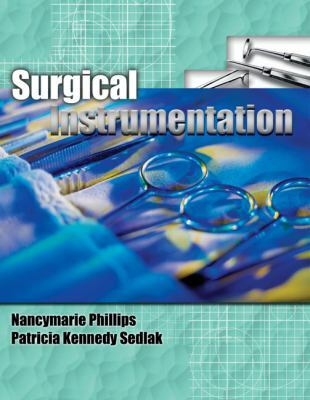 It categorizes instruments in a consistent order and the logic of set assembly for procedures is described at an understandable level.Phillips, Nancymarie is the author of 'Surgical Instrumentation ', published 2009 under ISBN 9781401832971 and ISBN 1401832970. Loading marketplace prices 12 copies from $4.59 How does the rental process work?